The Chicago & North Western Railway didn’t get its name “Route of the 400s” for nothing! This famous slogan by the railroad described its fleet-footed regional passenger trains that were said to be able to reach their destinations in 400 minutes or less, thus the name 400 was born. 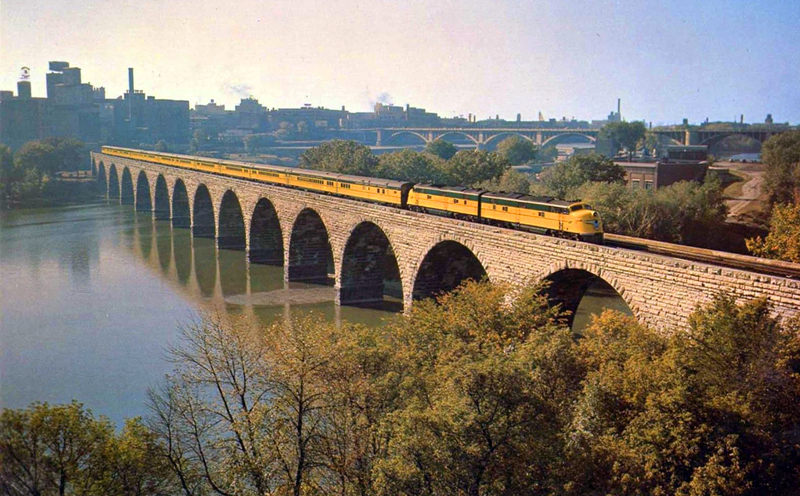 The first train of the railroad’s famous passenger fleet was simply known as 400 but later changed to Twin Cities 400, a train that connected Chicago with Minneapolis. The success of this train resulted in the 'North Western field an entire fleet of trains carrying the "400" name. Some of these other trains included the Dakota 400 (Chicago-Huron, South Dakota), Flambeau 400 (Chicago-Ashland, Wisconsin), and Peninsula 400 (Chicago-Ishpeming, Michigan). Of all the many granger railroads which sprawled out across the Midwest, the Chicago and North Western Railway is likely the best remembered of all. When the railroad was merged unto the Union Pacific in 1995 it was one of the oldest railroads in the Midwest, its name unchanged since 1859. Because of its age the C&NW actually has the distinction of being the first railroad to operate a train out of Chicago, the Pioneer. The North Western's main line into that city is also a key link in the UP’s empire today. While its eye-catching green and yellow paint no longer adorns locomotives today the Chicago & North Western Railway's legacy certainly continues to live on. 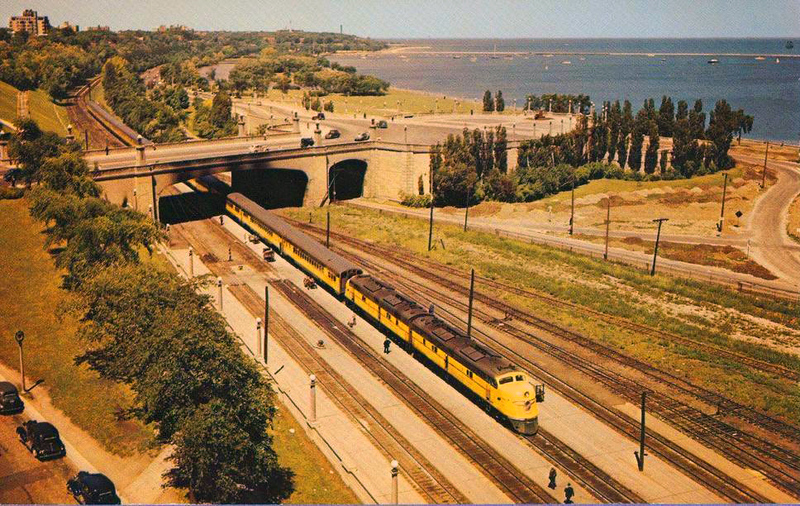 Throughout much of the C&NW’s life it did two things; serve the Heartland and northern Great Lakes regions as well as ferry traffic to and from Chicago, particularly the Union Pacific, a close ally for years. The railroad’s final growth period came during the late 1950s when it acquired the Litchfield & Madison giving the CN&W entrance to St. Louis. Other acquisitions included the much larger roads of the Minneapolis & St. Louis in 1960 and Chicago Great Western Railway in 1968, totaling nearly 3,000 miles in additional trackage. While this swelled the railroad’s size to over 10,000 total rail miles it lost much of this in the 1970s when America’s breadbasket could no longer support so many railroads and thus the C&NW dumped many of these unprofitable lines. Aside from its long-distance trains the Chicago & North Western Railway also operated a number of commuter rail operations, particularly around the Chicago and Milwaukee regions. To accomplish this it used bi-level cars and was one of the first to implement the “push-pull” method of commuter operations to save both time and money. It would, eventually, however, rid itself of even this and turn the commuter operations over to local and state governments. The C&NW’s fleet of 400s were never famous trains known across the country, like perhaps the Broadway Limited or Super Chief. However, they were legendary in the local region they served, from Chicago to Wisconsin, Michigan, and the Dakotas. What transpired into the first, and perhaps most famous train in the 400 fleet, the Twin Cities 400, started out as simply the 400 in 1935. The train was said to be able to travel between Chicago and Minneapolis (roughly a distance of 400 miles) in around 400 minutes traveling just over 400 miles in the process, hence its name. While the former may statement be slightly a bit of a stretch the train was very fast and proved to be quite successful, particularly for commuters. 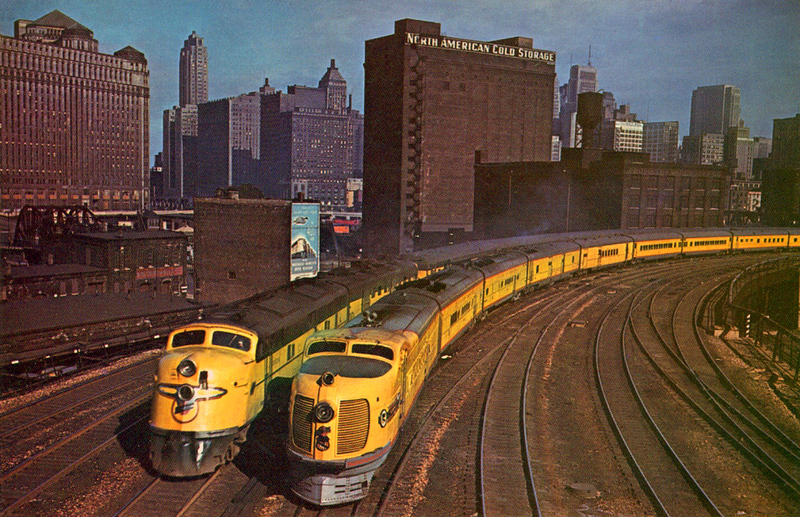 The train itself featured modest, but very classy and tasteful interior designs (including lounges and parlor cars) and when it was streamlined in 1939 in a handsome livery of bright yellow and green (a paint scheme that would become the trademark of the 'North Western) was renamed the Twin Cities 400. Powered by Electro-Motive diesels notably E7s and E8s in later years, the original 400 featured a tavern-lunch-lounge car, diner, parlor (with available drawing rooms), coaches, and observation parlor/lounge/bar. Considering that the original train was supposed to make the trek between Chicago and Minneapolis in less than seven hours, obviously sleeper service was unnecessary. However, the other services helped to make the train a regional success. Thanks to the dayliners strong ridership the 'North Western worked to a launch a fleet of "400s." Some of those are mentioned above while others included the Kate Shelley "400" (a latecomer serving the C&NW's Omaha main line after the Union Pacific switched its City fleet to competitor Milwaukee Road in reaching Chicago), Shoreland "400", and Valley "400". While successful, the streamliner served a region stiff in competition from other railroads, such as the Milwaukee Road’s Twin Cities Hiawatha, a very fast and famous train into itself. 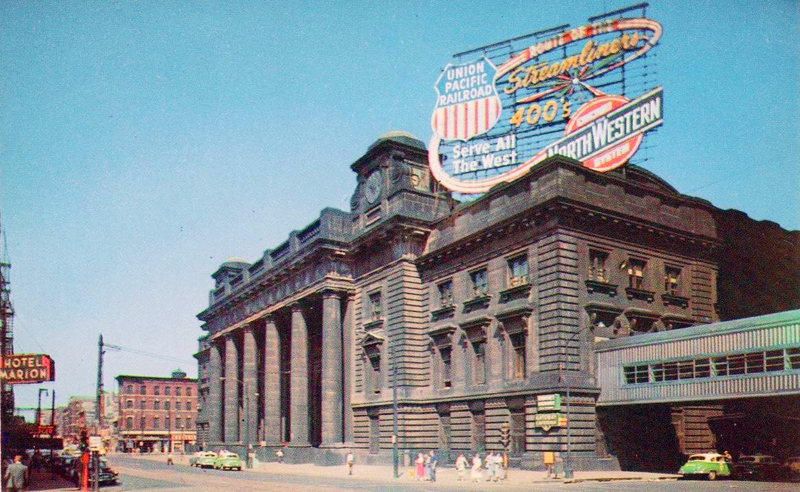 In the end, the Chicago & North Western Railway, never a large railroad anyway, decided to devote its resources elsewhere and threw in the towel to the Milwaukee discontinuing the Twin Cities 400 on July 23, 1963, only 28 years after it was inaugurated. Today, while none of the original routes of the C&NW’s 400 fleet are used today you can still ride on much of the railroad’s commuter lines in the greater Chicago area, under the direction and management of Metra.